Have you heard of the Reddit Hug of Death? It’s a paradox of life on the modern Internet. You work hard to attract attention and links, and hope to pull in a flood of traffic. Then, your website has its big moment: you’re featured on Reddit! Hundreds and even thousands or more visitors start visiting your website. The marketing team is celebrating! The picture looks a bit different in the technology group. You’re noticing that your systems are straining. Sure, you have a content delivery network (CDN) available, but it’s not enough. Some of your backend systems are breaking down under the strain of a flood of traffic. In fact, that’s what happened to CodinGame, a programmer training platform, in 2016. Its website went down two hours after it was featured on Reddit. That’s when you start pulling analysts away from other tasks, such as identity management, to focus on the website. You might not face traffic surges from Reddit, Slashdot, or other media websites every day. Yet, you and your staff probably face a variation on that theme. Each day, you come into work, ready to make some progress on your systems. Then, something urgent comes up. 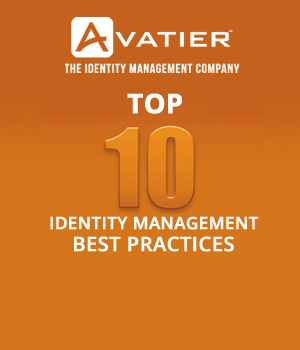 You might have a long list of identity management tickets to work through. Alternatively, procurement demands you provide input on a potential new cloud vendor. You need to escape this constant focus on reactive IT work. Of course, simply telling your team to focus or cut out distractions isn’t going to cut it. You might take a step further and recommend books such as “Deep Work” by Cal Newport. However, assigning reading won’t help if everybody feels overwhelmed. Instead, you need to equip your team with new tools and practices. To prevent server downtime, also known as the fastest way to be fired in IT, be sure to use these proactive habits. While you can use each habit alone, you’ll get the best results if you use them all together. You need to start by negotiating expectations with the rest of the organization. For example, propose that IT requests will be assessed and responded to within two business days. This will give you more capacity to assess which requests matter and carve out time to work on the other practices. Thanks to online shopping for consumers and self-serve web applications, your end users are more willing to use self-serve. That’s one of the reasons we built Password Station. It’s the fastest way to eliminate the most common IT help desk service request: password resets. At the same time, all password requests still follow your company’s policies. If you’re like us, you don’t look forward to your auditors arriving. At best, IT audits distract you from your regular work. At worst, they can be an embarrassing experience if significant problems are found. Fortunately, you can make IT audits easier to manage by cutting down on the time required to organize records for them. 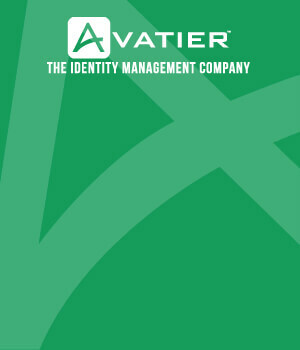 Implement Compliance Auditor and future IT audits will be easy. At the push of a button, you’ll have data on every user and account. In fact, we suggest IT managers periodically review all their users. It’s better for IT to identify problems and fix them rather than waiting for IT audit to come in after the fact. The rewards of a successful IT attack are considerable, and hacking tools are becoming cheaper. That means your organization is exposed to greater threats, especially if you’re in a high-profile industry such as banking. To reduce risk this month, identify and eliminate inactive user accounts. Whenever employees leave the organization or change jobs, you’re exposed to increased risk of inappropriate access. When your organization pursues growth, you have to be ready for the unexpected. In IT management, that means adding in redundancy for growth. The specific techniques and tools you use will depend upon how you expand. Let’s say you’re rapidly hiring new employees. If you don’t provide IT security guidance to them, don’t be surprised if security incidents become more common. In that situation, you can add robustness to your systems by offering employee password training. Choose one tip from this list to discuss at your next IT team meeting. Starting that discussion with your employees will help you become more effective and enable growth.